Colin Thorne is a fluvial geomorphologist with an educational background in environmental sciences, civil engineering and physical geography. He has published 9 books and over 120 journal papers and book chapters. During a career spanning four decades, has held academic posts at UEA, Colorado State University, the USDA National Sedimentation Laboratory, USACE Waterways Experiment Station, NOAA Fisheries, and the University of Nottingham. He is also a Concurrent Professor at Nanjing University and an Affiliate Professor at Colorado State University. 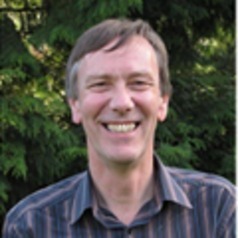 Colin is Principal Investigator for the EPSRC Blue-Green Cities Research Consortium (www.bluegreencities.co.uk).